Reviews, photos, news, tips and more. 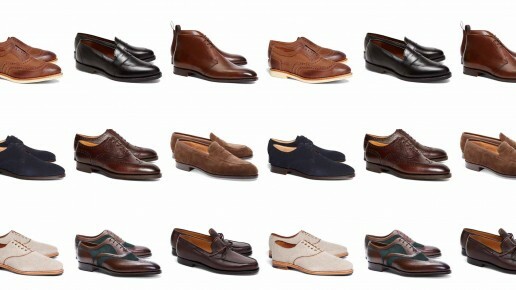 All about well-made shoes. 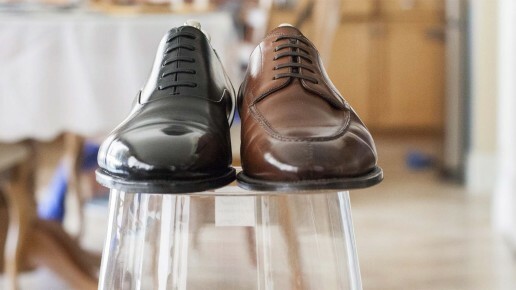 Loake has been long been a staple of fine British shoemaking, but has been relatively difficult to get in the United States with the lack of domestic retailers carrying the brand. 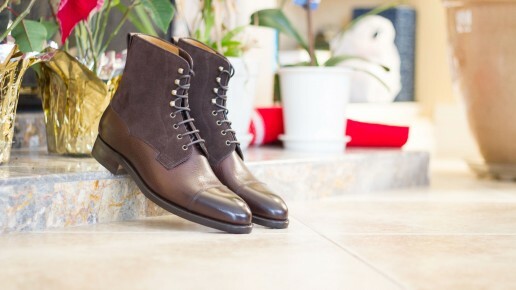 But that has changed this past year with a new North American distributor in place with several new retailers both online and brick-and-mortar carrying Loake shoes. With the quality of Allen Edmonds declining, will Loake become the new go-to entry level dress shoe in the United States? 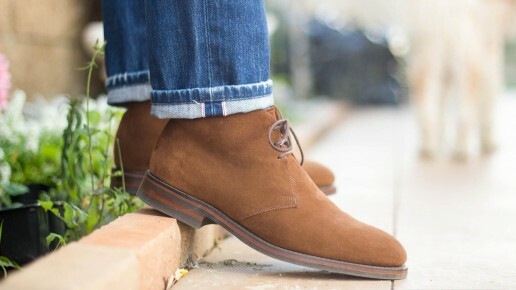 Read on to learn my thoughts of their 1880 line Kempton suede chukka boot. Personal pair for sale. 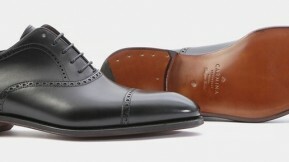 Carmina brown grain plain toe bluchers (style 531) brand new UK 7.5, $350 shipped CONUS. Lab day sales are here. Check out my top 9 picks with shoes up to 70% off! Personal pair for sale. 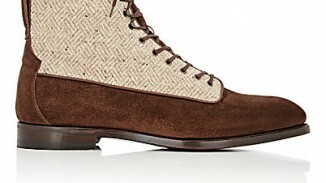 Carlos Santos field boots in brown grain upper and mink suede shaft. Brand new UK 7.5, $350 shipped CONUS. Memorial day sales are here. Check out my top 9 picks with shoes up to 72% off! A few shoe deals from Massdrop were launched last week and are available for a limited time. My pick out of these would be the Carmina deal, more of a steal actually if you ask me! Don't miss out, read on to learn more. I got an email from Brooks Brothers with an offer of an additional 25% off sale on clearance items. While it doesn't sound that great, they have dropped the prices on several pairs of shoes making them pretty good deals. Read more to see my top picks from the sale and link to the full clearance shoe section. 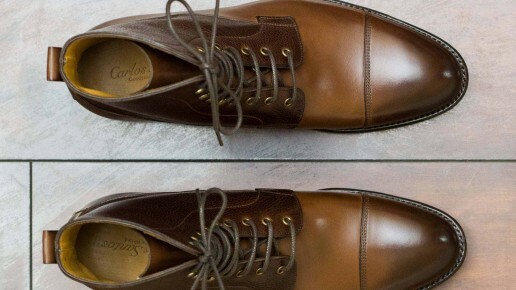 In this post, I take a closer look at the Carlos Santos 316 last as the second post of my shoe and last measurement series. It's an elongated almond shaped toe last, that fits on the roomy side. Should you take your normal size? Read on to learn more. 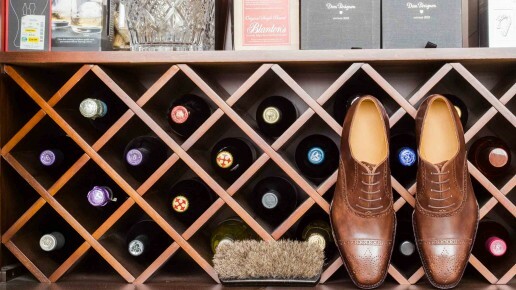 Enzo Bonafé shoes have grown in popularity in the last several years, but it can still be tough to nail down the right size considering they're mainly only available online. So I've put together an in-depth visual comparison of two of their popular lasts, the 804 and 363MOD to help assist in your size selection. Read more to see all the photo comparisons in HD. Kent Wang is well known on Styleforum for his pocket squares, suits, cuff links and more. But his shoes seem to have flown under the radar. 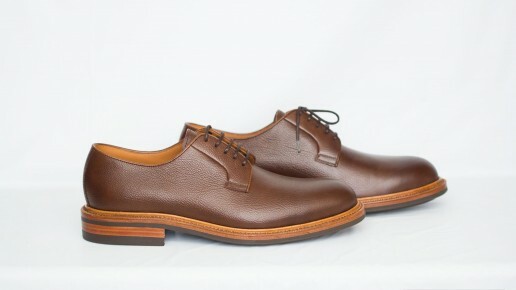 So today we look at an in-depth review of a half-brogue in brown museum calf from the handgrade line. 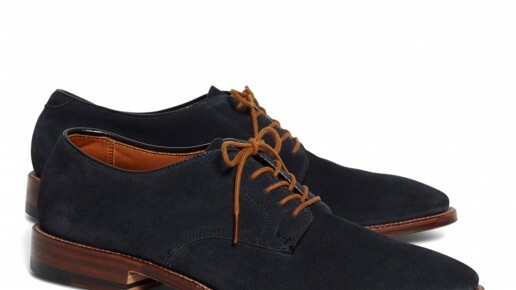 Can these shoes compete with those that are twice its price? Read to learn more.